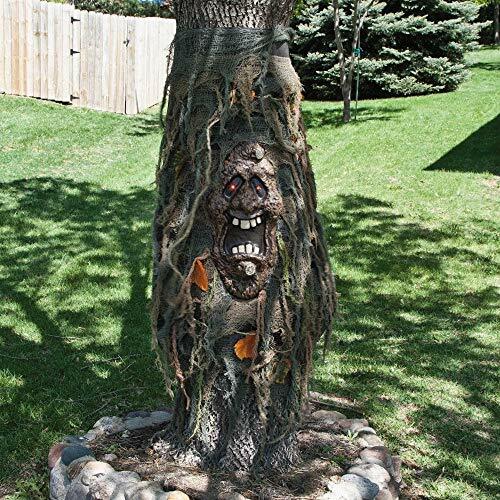 Tree Ghost. Includes two 29" ties each at the top and bottom for securing. Red eyes fade in and out to bring your tree to life. Plastic face with canvas backing. 23" x 42". Requires 2 "AA" batteries, not included. Includes two 29" ties each at the top and bottom for securing. Plastic face with canvas backing. Requires 2 "AA" batteries, Not Included.